Your iOS device has several numerical identifiers associated with it. 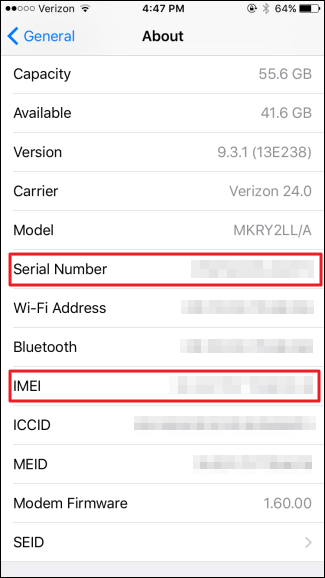 Two of the most important are the device’s serial number and International Mobile Station Equipment Identity (IMEI) number. 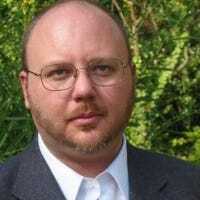 You can use both to identify your phone when you’re scheduling repairs, activating or deactivating devices, or even reporting a device lost or stolen. It’s a good idea to look these numbers up now, before you have a problem, and write them down, so you can reference them later. Here’s how. 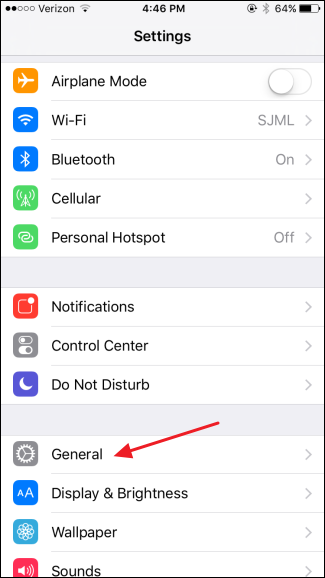 On your iOS device, fire up your Settings app. On the main Settings page, tap General. 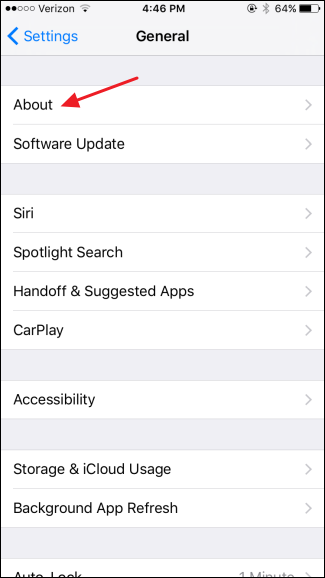 On the General settings page, tap About. On the About page, scroll down a bit and you’ll see the device’s serial number and IMEI number listed. On devices with a 6″ or larger screen, you’ll see the whole IMEI listed. On devices with a smaller screen, the number might get cut off on the right side, but you can tap it to see the whole number. Once you’ve found them, just write those numbers down for future reference and stick them somewhere safe. Even better, take a screenshot of that page (Home+Power buttons) and send it to another device so you’ve got it even if your phone is damaged or lost.